Hey I’m going to try something new on GoodStuffAtHome and on my YouTube Channel from now on. I post about several different topics (Food, Drink, Gardening, DIY & Tech) instead of focusing on a small niche. Everyone says that you should focus on a niche and you shouldn’t try to cover too many things. It’s bad for building readership and it’s bad for SEO. Well, to me, my site is all about making things. I like to make good stuff. Whether its in the kitchen or the garage or out in the garden, it’s all good stuff to me. My new idea is to spend each week linking these different categories together with a common theme. People like things that come in weeks, like Shark Week, Fleet Week and Fashion Week. So I’m going to start theming my weeks too. For example if I was doing Blueberry Week, I could post a blueberry pie recipe in the Food category, a how to grow blueberry bushes in the gardening category, build a bird netting fence to protect the blueberries for the DIY category and so on. I may not cover all all the categories each week but I want to give this a shot. So how could this week be anything other than Pokemon Week? 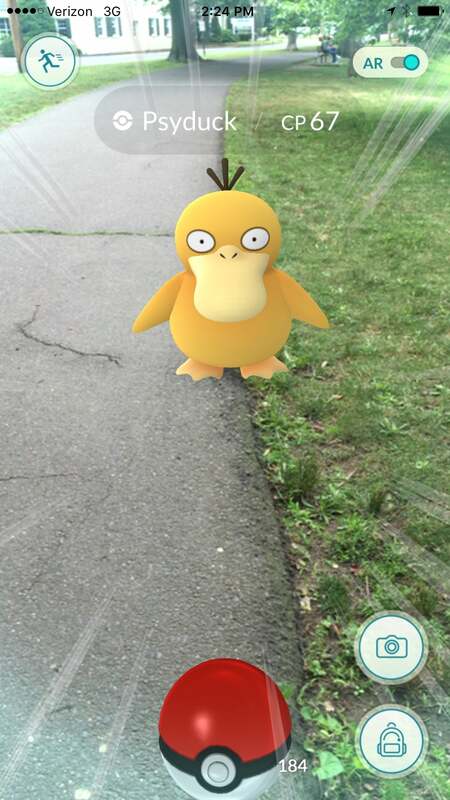 Pokemon Go came out 4 days ago and it’s taking the world by storm. Today’s post is going in the Tech category so I’ll share some Pokemon Go tips that I’ve learning by playing over the weekend. The first tip is to switch to Low Power Mode. Using the GPS, while maintaining a good cellular connection uses so much battery that you phone might even get very hot. There’s a park near my house with a walking path that goes around a lake. It also has lots of benches that have those memorial plaques on them that say things like, “In memory of the <so and so> family”. Each bench is a Pokestop. So my kids and I go there and walk around the lake and hit all the Pokestops, spin them and collect the goods. Yesterday we did three laps (about a mile) and my iPhone 6 Plus went from 100% to about 40%. Both my kids have iPhone 6 and both were completely dead. 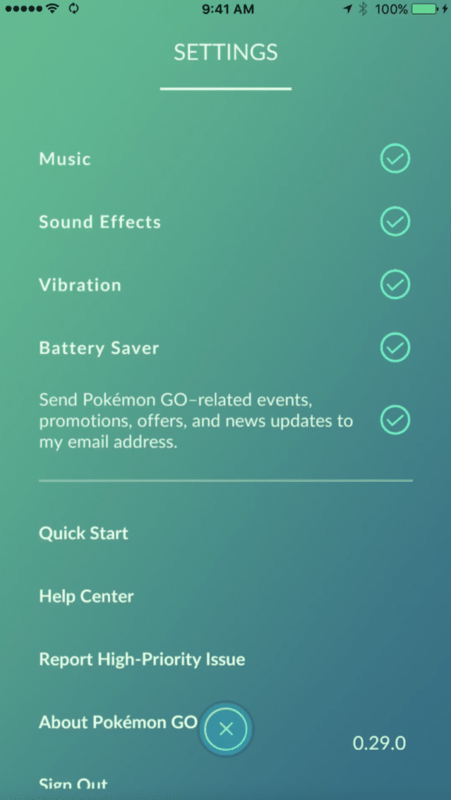 To turn on low power mode and make your battery last longer, tap the Pokeball, then tap the gear in the top right that says “Settings”. You want to make sure the battery saver option has a check mark next to it. Second tip is to bring an extra battery. If you have an Android phone with a replaceable battery that’s pretty easy. But iPhone users are out of luck with that so bring one of those battery cases or an external battery. With extra power you can catch even more Pokemon. Third tip is to catch every Pokemon you see and then send any duplicates back to Professor Willow. When you do so you get a piece of candy that you can use to Power Up or Evolve your Pokemon. But wait until you get back home for this. 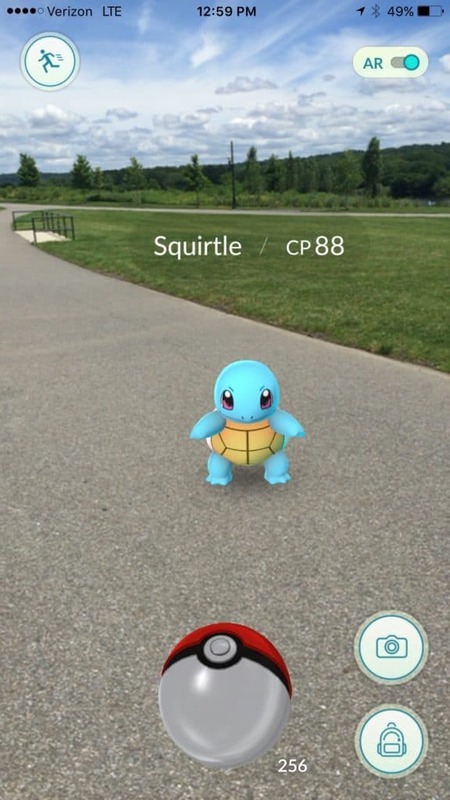 When you’re out and about, you should be looking for Pokemon. 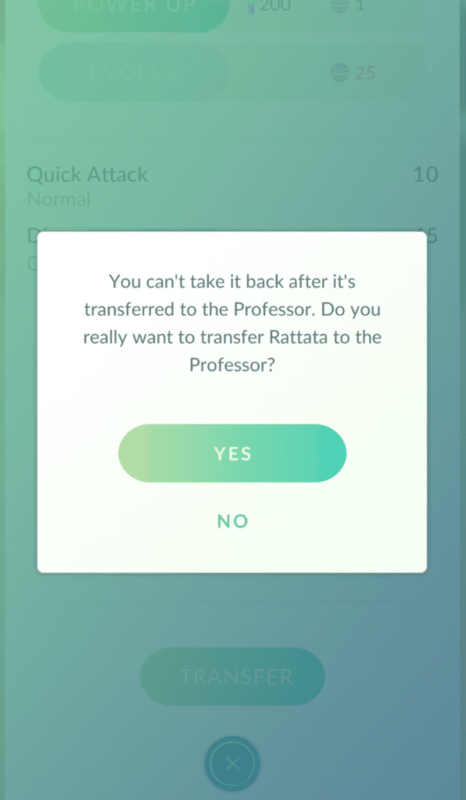 The transfer button is below the Power Up & Evolve buttons. Scroll down and you’ll see it. And the last tip is not to ignore any of the sad looking Magikarps that you find. I know they look like a joke to people who never watched the cartoon but you definitely want to catch them all. 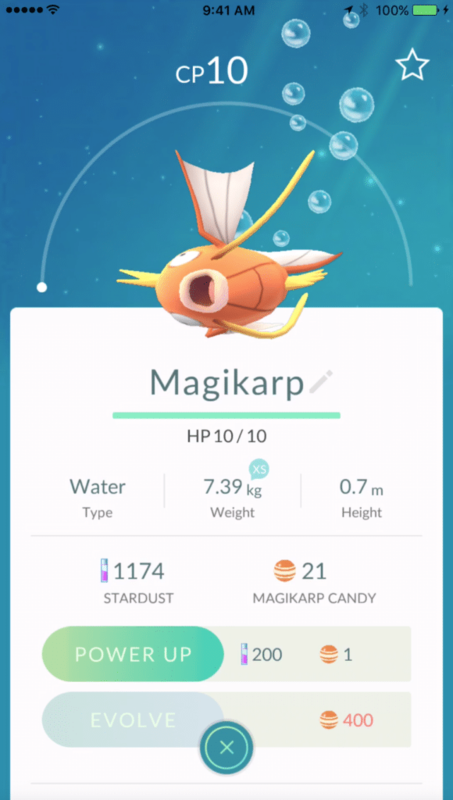 And then when you have 400 Magikarp Candies saved up you can Evolve it into Gyarados. And Gyarados is no joke. I only have 21 candies right now but I’ll keep walking around that lake until I get there. So come back tomorrow or Wednesday and Pokemon week will continue. I have a few ideas for Pokemon cocktails, food and woodworking project. I’m hoping that I can get it all of these posts created and do a YouTube Video also.